Today’s Spring Budget 2017 didn’t bring with it any big surprises for R&D tax credits. It prompted more questions than it gave answers; here we review what the Chancellor said, and what in our view that means for the R&D tax environment. We agree with the Chancellor here. Our R&D tax credit regime is essential to attract global business to the UK, but it also plays a vital role in nurturing home grown businesses. We advise more than 100 innovative UK businesses here at ForrestBrown each month, and one of the great pleasures of being in this industry is the positive impact that claiming R&D tax credits can have on a business. Time and time again our clients tell us that their R&D tax credit has allowed them to boost their innovation and grow their businesses by hiring new staff and opening new offices. Dartington Crystal, the crystal glass engineering firm, is a prime example. Innovation breeds innovation, and R&D tax credits can also help to breed a culture of research and development. Another one of our clients, MMT Digital, talks about the phenomenal impact their R&D tax credit has had on their ability to attract and retain staff. When used, R&D tax credits do what they are meant to and help to stimulate innovation investment. Calls to reduce the administrative burdens around R&D tax incentives have been made by many in recent years, including ourselves. At the beginning of this year, in their letter to the Chancellor, the CBI called for additional guidance on the R&D tax credit claims process, as well as for improved certainty and simplicity around R&D claims. Today’s commitment to reviewing the administration of the scheme indicates wholesale changes to the R&D tax credit incentives are not on the cards for the time being. So, with the announcements for R&D made right up top in the Chancellor’s speech, but with not much detail, we turned to the Spring Budget 2017 document itself to dig deeper. Let’s start with the good news. Firstly, the government acknowledges that it needs to take action to improve awareness of R&D tax credits. The government last published statistics on the uptake of its R&D tax credit incentives in September 2016. Year-on-year we saw that total claims were up, although not as much as we had hoped for. Claims made by SMEs rose by 16% in 2014-15, compared to 23% for the 2013-14 period, and by 8% for large companies, compared to 33% over the same periods. In 2014-15, nearly 19,000 claims were made by SMEs. Our own Nation of Innovators research makes clear the gap between those businesses that intend to innovate within the next three years (89% of our respondents), and those who intend to claim R&D tax credits (20%). Even if we account for those who may not qualify for R&D tax incentives, these figures give us a useful measure of the numbers of businesses that could be missing out. We believe there is a significant opportunity to educate businesses about R&D tax credits: that they exist, who is eligible for them, how to claim and what the benefits are. Just one in ten businesses employing up to 50 staff had already made use of grant funding and only 5% had used R&D tax credits. This compares to businesses with 500 or more staff, 45% of which had used grants and 50% of which had used R&D tax credits. Despite businesses on the whole saying they would be able to innovate further as a result of the additional funding, there was a marked difference in the perceived benefit between large and small businesses that mirrored the uptake of existing incentives. While 84% of businesses with more than 500 employees stated that innovation was already essential or a high priority, only 48% of businesses who employ fewer than 50% said this was the case. Our study suggests that incentives for innovation are currently benefiting bigger businesses that have the resources and know-how to be able to identify and access them, but smaller companies are being left behind. In our view, the government’s efforts should be directed at those who need it most: smaller businesses. Is Advance Assurance the answer? The government has already looked at how to help smaller businesses access R&D tax credits, in the guise of Advance Assurance. Advance Assurance gives applicants comfort that their first three R&D tax credit claims will be processed without further enquiries. An initial pilot took place in 2011, and the initiative was then resurrected four years later. The new Advance Assurance programme had a halting start, with HMRC accepting that take up was lower than hoped for, and, as of last summer, just under 200 companies had applied. Unfortunately, Advance Assurance doesn’t do much to remedy some of the biggest barriers businesses face to claiming R&D tax credits: awareness and eligibility. In our view, if you don’t already know that R&D tax incentives exist, you are unlikely to search for a programme like Advance Assurance. The application also requires businesses to identify that they are eligible to claim, so it does little to address the many misconceptions that exist about who can claim. Lastly, Advance Assurance still relies on the company presenting its R&D activities and costs to HMRC in the right format, and in the right language. So, if Advance Assurance can’t be expected to solve these concerns, what can? The answer is complex and it is unlikely that just one measure will hit the mark. Awareness: both the government and the tax industry have a responsibility to further educate businesses about R&D tax credits. In order to be successful, we must try to reach innovative businesses in innovative ways. Where are they going for business advice already, and are they receiving the right information at the right time? 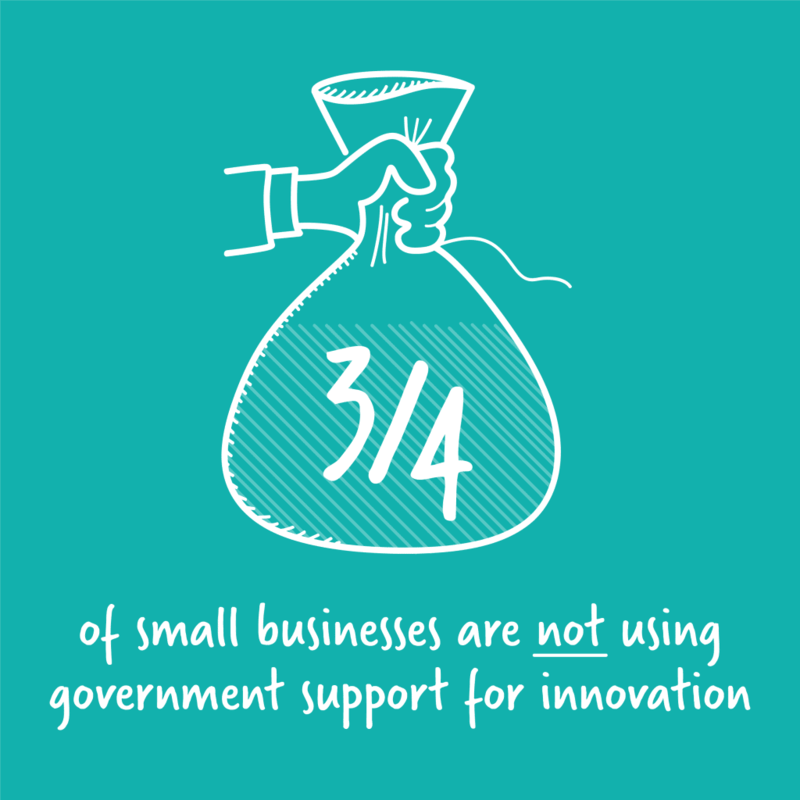 Simplification: offering two different R&D tax credit rates for large and small businesses allows the government to target support where it is needed most, at the same time recognising that part of the fabric of an innovative economy is its ability to attract larger businesses with a global footprint. However, why do we still need two different mechanisms for relief? The RDEC scheme for larger businesses, introduced by the Finance Act 2013, has increased the visibility of the incentive, attracting an increased volume of claims. Why shouldn’t it be the model for both sizes of business? Certainty: too many factors can affect the cash benefit of an SME claim, as it is heavily dependent on a company’s wider tax position. This makes it difficult for companies to predict the expected cash flow year on year, even when they can accurately forecast their R&D expenditure. Applying the RDEC model to the SME scheme would also help to address this by providing a more stable cash benefit, independent of the company’s wider tax position. Finally, why no rate change for R&D tax credits? It is widely accepted that innovation is one of the key drivers of economic success and when the Prime Minister Theresa May launched the Industrial Strategy at the end of last year, many of us in the tax industry felt a rate increase for R&D tax credits was not far behind. The one overriding message was: while things are looking better, we still need cash in the bank to prepare for Brexit. Perhaps then, a rate increase was too much for this Budget. It shouldn’t be forgotten that we will have two Budgets in 2017, so it seems logical that the Chancellor will have thought carefully about which announcements will be received well in the current political climate. 2016 taught us that things can change quickly and certainly the Autumn may be more the time for positive changes, good news stories and UK-focussed measures. The Chancellor repeated his previous announcement to decrease the corporation tax rate to 17% in 2020. This has implications for R&D tax credits in itself. Currently, loss making SMEs can choose between a payable (cash) credit or keeping tax losses to offset against future profits. Historically, the government has ensured that the payable credit is at a discounted rate compared to the future benefit of tax losses and for 2016-17, the gap was 14.5% compared to 20%. In our view, a falling corporation tax rate makes a change to the R&D tax credit rate necessary if this gap is to be maintained. If you’re not sure if your business might be eligible for R&D tax credits, or simply want to check you’re getting your claim right, speak to our friendly team of chartered tax advisers on 0117 926 9022.